Make some noise and show you're the ultimate 12th Man when you pick up the Seattle Seahawks Denny Ukulele by Woodrow. This officially-licensed Nfl product displays the famous Seahawks logo. This exceptional ukulele features a stunning rosewood fingerboard and a linden wood body with nylon strings. 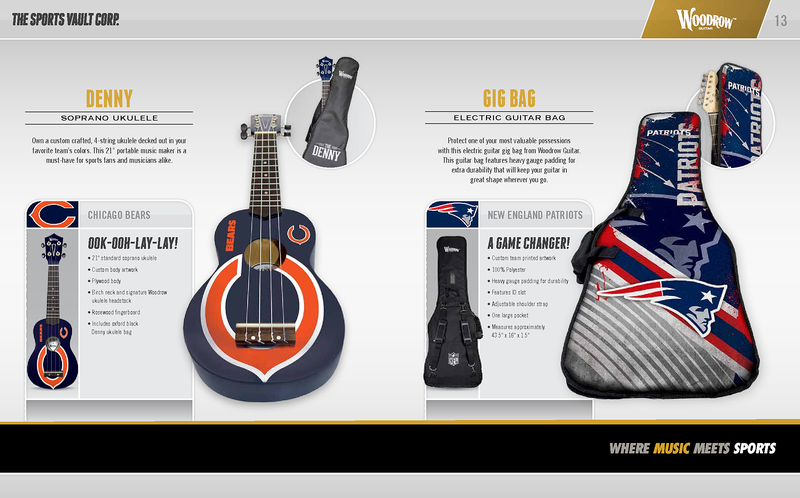 The Seattle Seahawks Denny Ukulele also includes an Oxford fabric protective case for easy storage and transport. Show your pride for the champions of Super Bowl Xlviii and pick up a Seattle Seahawks Denny Ukulele by Woodrow today!